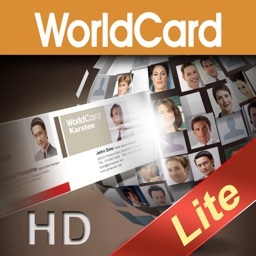 WorldCard HD by Penpower Technology Ltd.
~ Special promotion, only $6.99. ~ (MSRP:$14.99). No manual entries. No typos. 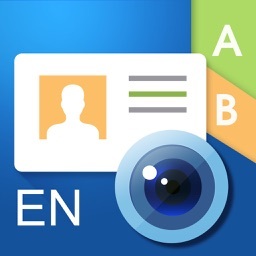 No more confusion in your contacts! 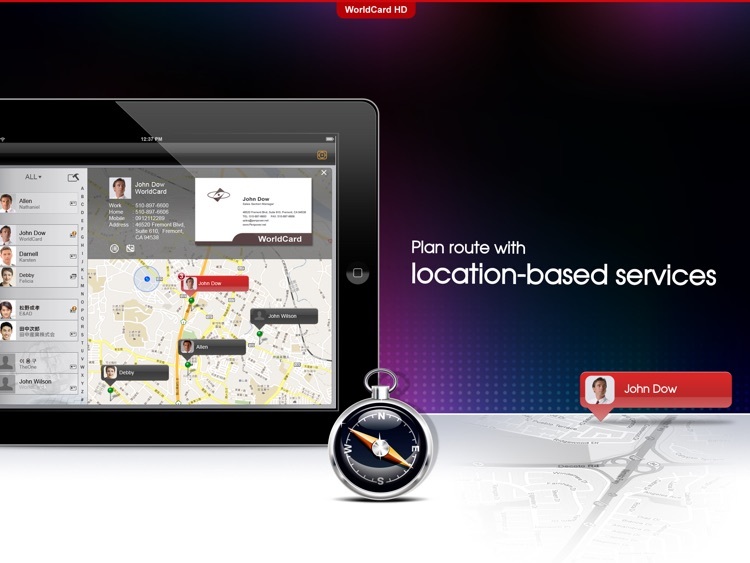 WorldCard HD transforms your iPad into an intelligent Customer Relationship Manager. 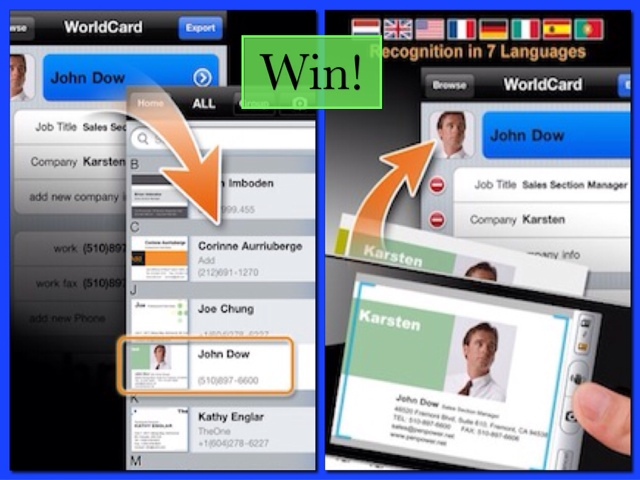 This is the iPad version of the award-winning business card scanning application, WorldCard Mobile. 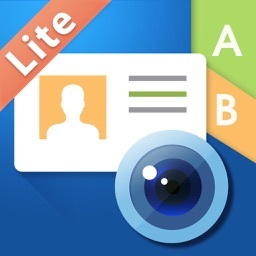 Powered with an advanced version of OCR (Optical Character Recognition) technology, this utilitarian app offers the best of business card scanning. 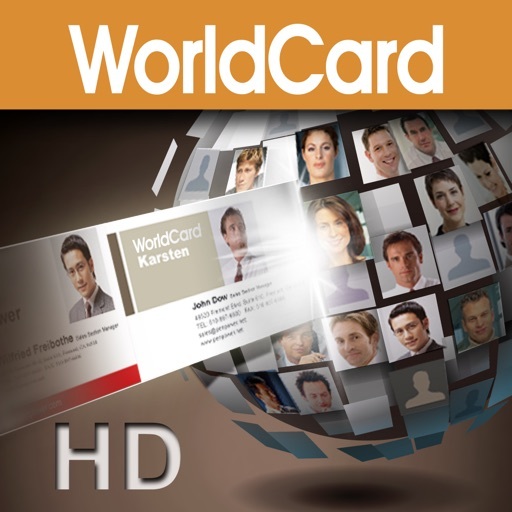 WorldCard HD has an intuitive combination of an easy-to-use interface and a powerful search tool that allows you to find required information in seconds. Each business card is represented as a record in a special table with standard attributes such as name, address, company name and others – no typing and less chances of mess up! 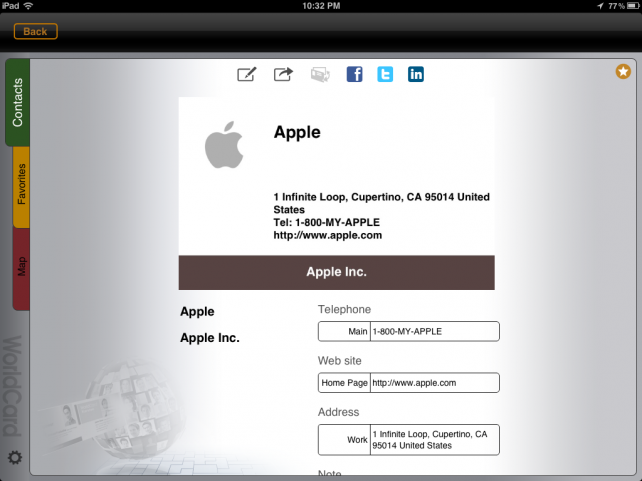 With WorldCard HD in your iPad, dealing with business cards won't be frustrating anymore! • Carries the tradition of its iPhone predecessor by offering accurate character recognition. 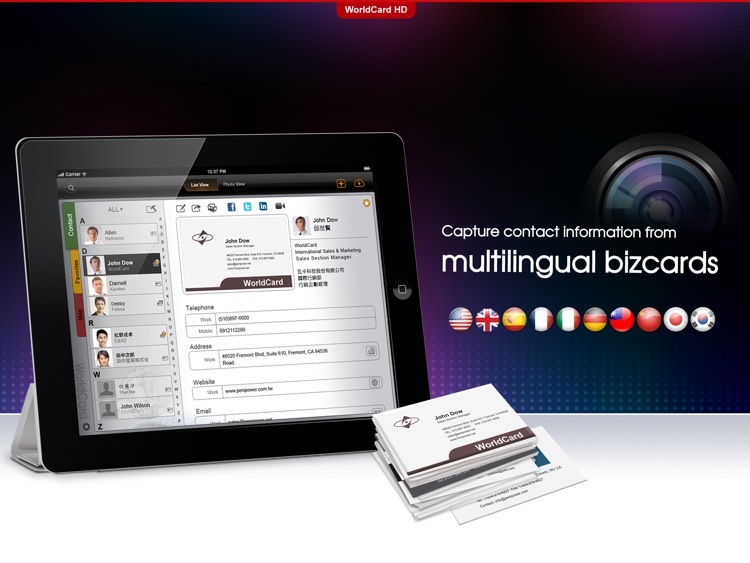 • Recognize business cards in 24 different languages: English, French, German, Italian, Dutch, Turkish, Polish, Hungarian, Russian, Swedish, Norwegian, Japanese, Korean, Finnish, Danish, Greek, Czech, Slovak, Traditional Chinese, Simplified Chinese, Spanish(Mexico & Spain), Portuguese(Portugal & Brazil), Czech, Slovak language. • Allows you to scan and recognize large numbers of cards at a time. 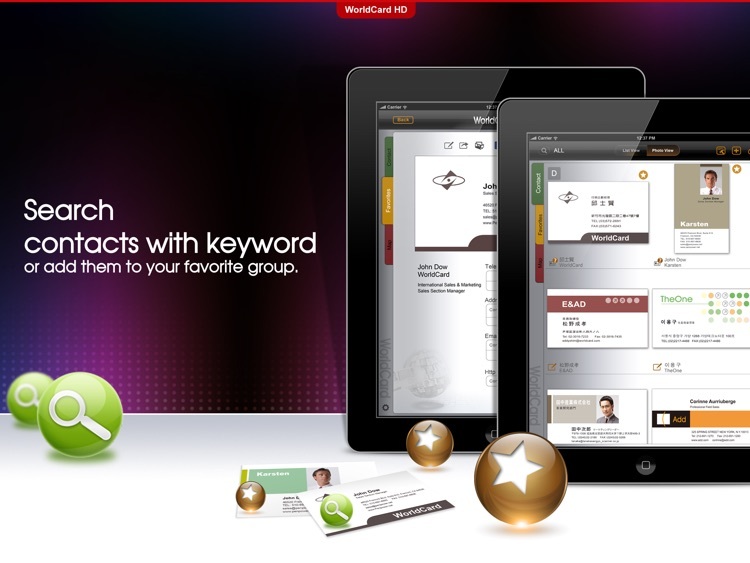 Manages your cards and saves your time effectively! • Creates contact groups as you wish. With the effective search tool, finding the right contact will never be a problem from now on. • Enhances images to have them in the best definition always. • Lets you carry out multiple functions such as connecting with FaceTime or Google Maps and sending emails just by tapping on the collected information from business cards. • Use Google Maps to find your way easily and save your time on route planning. • Get connected to your contacts with a single touch. The system will smartly use information such as names and emails to search on Facebook, LinkedIn and Twitter right away. • Exchange contact data through Open In, Mail and iTunes File Sharing. Import/export or backup your data quickly and conveniently. 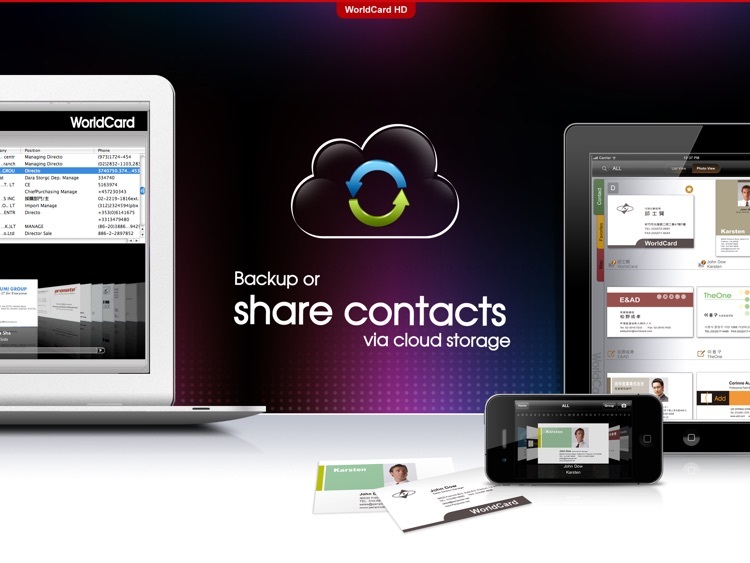 • Share or backup your contacts via cloud services (iCloud/Dropbox). You can manage your contacts on all devices. • Sync with Google Contacts and manage your contacts seamlessly! 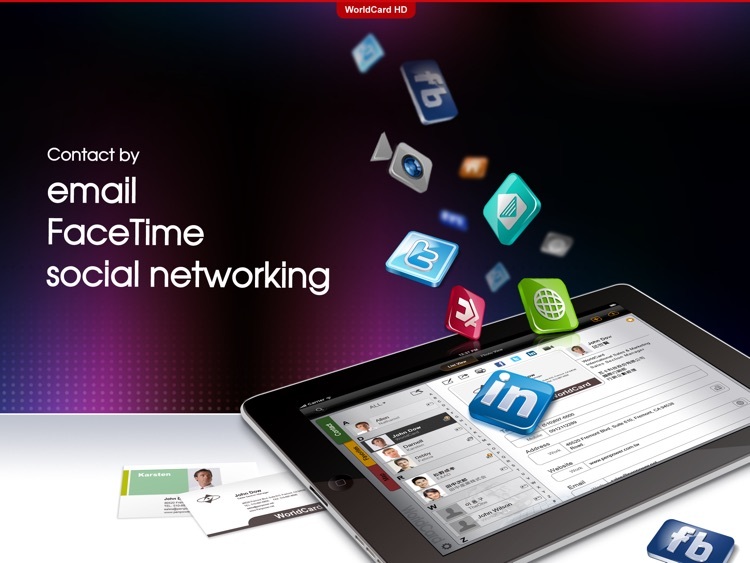 • Manage contacts from both WorldCard HD Contacts and Gmail Contacts. The resolution of the images taken by camera in iPad 2 might not be good enough for recognition. - Import WorldCard Data (*.wcxf) from iCloud or Dropbox storage services or via iTunes Files Sharing. Looking for a better way to manage all those business cards? 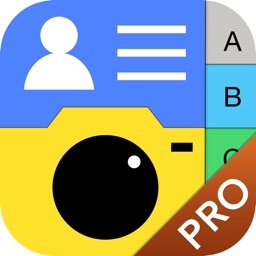 With many features available, including business card scanning, Google Map integration, contacts organization, and connections to social networking sites, this app certainly does a lot.